(left)Thomas Gainsborough(1727 – 1788), Sarah, Lady Innes, c.1757 oil on canvas. Henry Clay Frick Bequest, Frick Collection. (right) Rodarte, Spring 2007. 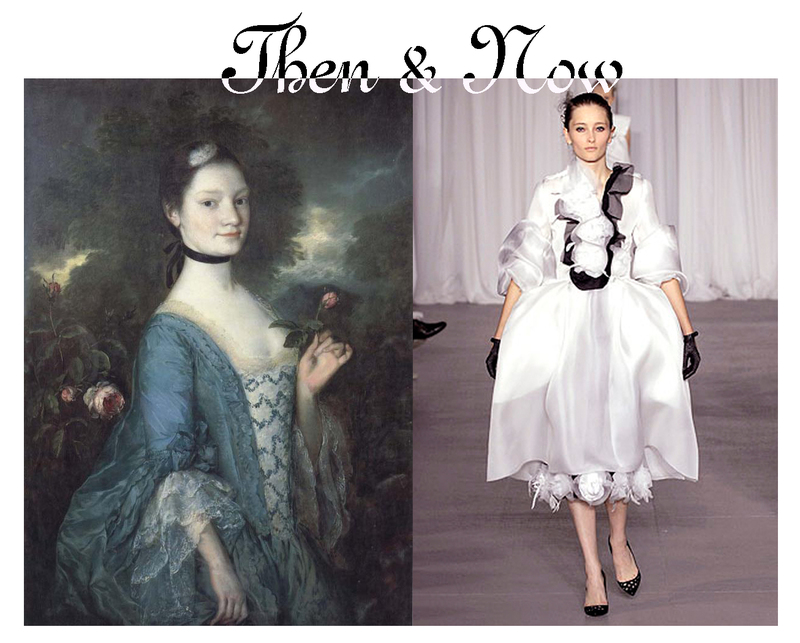 This entry was posted in Then&Now and tagged 18th century, History of Costume, Rodarte, Thomas Gainsborough. Bookmark the permalink.